From dirty air to dirty money, see our breakdown of this month’s biggest public health headlines. British parliament has brought in new plain packaging laws for tobacco products, attacking one of the last vestiges of big tobacco advertising power. 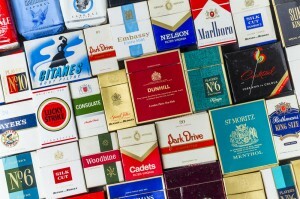 Tobacco companies have one year to introduce new standardised packaging. All tobacco packaging will use the same dull colours, with at least 60% of the surface area covered in health warning messages and imagery, and adverts and misleading slogans will be removed. The move is being hailed as a legislative landmark against the tobacco industry. It is hoped that changes to packaging will reduce the uptake of smoking in the UK, particularly among the younger population which accounts for more than 600 new smokers each day. It is seen as the culmination of efforts to reduce their marketing power, following on from advertising bans in print and on television. Tobacco companies have launched appeals in response to the new legislation but have suffered embarrassing defeat, with both the European Court of Justice and British High Court overruling their objections. Alongside faltering commercial influence, the tobacco industry has also received a significant blow to its finances, as a major European insurer announced earlier this month that it would be selling its £1.3 billion shares in tobacco companies. Axa states that its decision is politically motivated as well as economic, as it can no longer justify supporting the industry and wants to support government efforts to prevent smoking. Over the past year, UK drug regulators have seized a record amount of counterfeit Viagra worth approximately £11 million. This marks the largest amount of unlicensed erectile dysfunction medication ever seized by the MHRA (Medicines and Healthcare Products Regulatory Agency). Further raids were conducted across May, with London seeing a coordinated raid of 50 police officers across 25 properties. These new figures reveal the sheer scale of the UK black market in Viagra, and highlight the need to educate the public on health risks associated with using unregulated medicines. 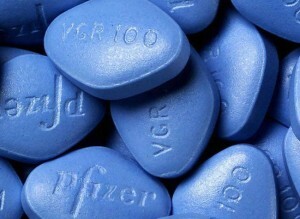 Fake Viagra pills have been found to contain toxic ingredients including detergents and road paint. Black market demand itself is largely supported by young men who have no medical need for Viagra, which demonstrates a dangerous misunderstanding of the drug. Read our doctors’ response to the latest statistics. Junior doctor unions and the government resumed talks to negotiate a new contract deal, ending five months of hostility and political intransigence. 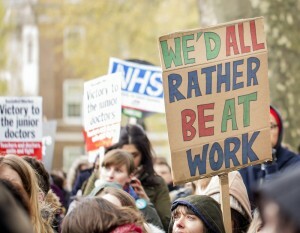 The BMA suspended planned strike action in exchange for new talks, just as the idea for an all-out strike and mass registration was gathering force among junior doctors. After 10 days of negotiating, both parties agreed a potential peace deal to end what many see as the most destabilising NHS conflict ever witnessed. The new contract deal offers premium pay for weekend work, provided doctors work seven or more weekends a year. The average basic pay will increase by 10%, down from the originally proposed 13% increase. However, many feel it does not go far enough to address concerns surrounding patient safety and resources. Whilst some effort was made to address discrimination against part-time and female doctors, the contract doesn’t offer anything concrete to resolve the conflict between childcare and weekend working. The revised contract will be passed to ballot among the BMA’s 25,000 junior doctors before it can become a permanent settlement. If endorsed, the contract will then be introduced by agreement rather than imposed upon junior doctors, as Jeremy Hunt initially intended. A new report warning against low-fat diets and championing the role of fat has struck at the very foundations of public health dietary guidelines. 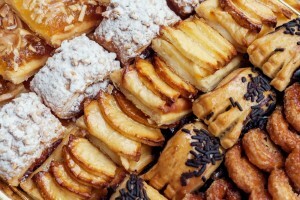 Created by two charities – National Obesity Forum and Public Health Collaboration – the report calls for people to eat a fat-rich diet, abandon refined carbohydrates, and stop counting calories. Among other shocking pronouncements, it argues that saturated fat does not cause heart disease, and urges people to avoid low-cholesterol and low-fat diets. With the message “eat fat to get slim, don’t fear fat, fat is your friend”, this report seeks to overturn the current nutritional guidelines supported by public health experts. It directly attacks the Eatwell Guide from Public Health England, accusing PHE of being in the pay of the food industry. Its inflammatory arguments have prompted a venomous backlash from the scientific community, who dismiss it as an ‘irresponsible’ opinion piece which ‘misleads the public’. The British Heart Foundation has stated that it cannot take a report based on such selective use of evidence seriously, and the Royal Society for Public Health weighed in, labelling it a ‘muddled manifesto of sweeping statements, generalisations and speculation.’ Experts are concerned that this report will only further confuse the public and will reduce confidence in the rigorously-researched official nutritional guidelines. Still confused about fat? Our doctors deliver the bottom line on fat. A leaked data-sharing agreement has revealed that Google-owned firm DeepMind can access the confidential health information of 1.6 million Royal Free NHS trust patients. The artificial intelligence firm was granted access to patient data from three hospitals as part of its ‘Streams’ app project. This app is aimed at helping hospital staff monitor patients with kidney disease. However, the scale and richness of the data set has prompted widespread concern. Although the focus of the project is kidney disease, the data includes information on drug overdoses, abortion and whether patients are HIV positive. DeepMind also have access to the logs of daily hospital activity, including the location and status of patients and information on who visits them. Although the data is encrypted, patients were not aware that their information was being shared in this way or at this level of detail. 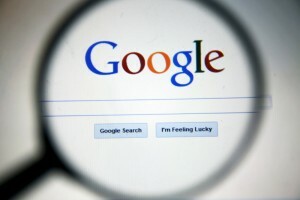 The fact it took a leaked document to reveal the sheer scale of data obtained by Google adds another level of mistrust to what is already a highly controversial and sensitive issue of privacy. Researchers and public health organisations have published a whole slew of information developing our understanding of pollution and health. WHO has shared new statistics on the world’s most polluted cities and revealed that more than 1 billion people live in countries that do not monitor air quality. In the UK, Port Talbot in Wales wins the ‘most polluted city’ award, outstripping the likes of London, Glasgow, and Leeds. In contrast, Newcastle, Bournemouth, and Inverness ranked among the cleanest cities in the UK. But how dangerous is exposure to pollution? 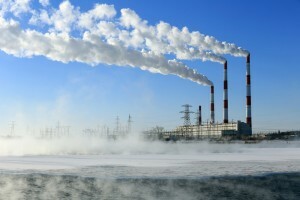 A new study has concluded it can be dangerous for pregnant women, with industrial emissions increasing the risk of stillbirth. Their research suggested that the risk is highest during the third trimester of pregnancy, and that exposure to every 4 ug/m³ of small particles contained in emissions increases the risk of stillbirth by 2% – on some London streets this level can be as high as 50 ug/m³. Another study has revealed that farming is the single biggest cause of bad air pollution in Europe. Fertilisers and animal waste contain nitrogen compounds which form dangerous particles when combined with industrially-polluted air. These particles can stick to lung tissue, causing breathing problems and potentially heart disease, and an estimated 40,000 people in the UK die prematurely each year due to air pollution. Addressing agricultural pollution is, therefore, essential for improving public health linked to air quality. The Bottom Line on FatHow Will the Euros Affect Male Libido?